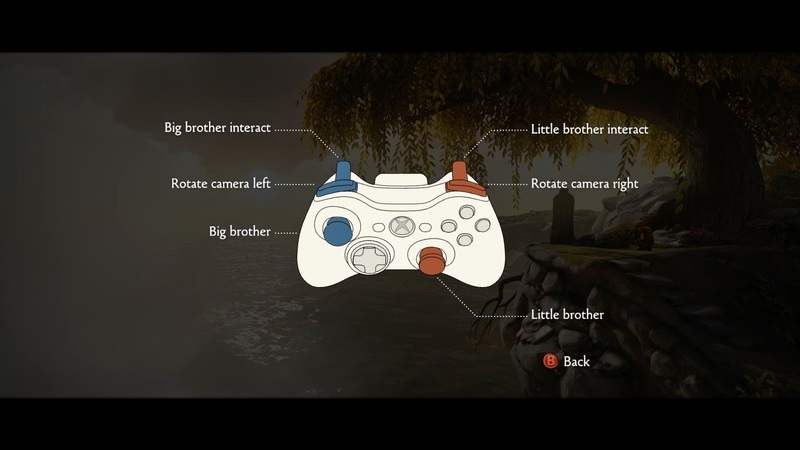 So I recently picked up a game called Brothers: A Tale of Two Sons. I noticed that it said it requires a controller to play, but it also said "full controller support," so I thought it'd work fine with my old Gravis gamepad. So I started the game, and there was no controller option at all. What gives? If you have a Playstation 3 controller, there's a special tool just for you called the MotionInJoy DS3 Tool. For the rest of us, there's a tool called x360ce that allows gamepads to emulate the Xbox 360 controller. So go to the x360ce downloads page and download the file that starts with x360ce.App as well as one of the lib files. Most games are 32-bit, so you'll want the lib32 file. If you know if your game is 64-bit, however, download the lib64 file. Now open the game folder. The easiest way to do this is open Steam, right-click the game → Properties → Local Files → Browse Local Files. From there you'll need to browse to the folder where the main executable is to the game. This varies by game, but it's often a file with the same name and icon as the game. Open the lib zip file you downloaded and copy the xinput1_3.dll file inside of it to the folder with the game executable that you just opened. Now open the app zip file that you downloaded, copy the x360ce.exe file inside of it also to the game executable folder, then run it. Plug your controller in if it isn't already plugged in. Click Yes when prompted to create the x360ce.ini file. You should get a popup to search the internet for settings for your controller, so click Next → Finish. Click OK if you get a warning message about the version of the configuration file. Unfortunately this message will pop up every time you start the game. If it annoys you too much, you can delete the xinput1_3.dll file and reopen x360.exe to recreate an older version of the file, but this may cause problems for certain controllers (it did for mine). On the controller tab that pops up, try out your controller and make sure it matches up with what's on the screen. If for some reason it doesn't (left and right were reversed on my left analog stick), click the Settings Database tab and then the Global Settings tab within that tab. Double-click on one of the settings to apply it, then go back to the controller tab to see if it worked. Repeat until you find one that works. If you don't find one that works, you'll have to adjust the settings manually. Once you've found settings that work for your controller, click Save and then close the window. If you've done everything right, you should now be able to use your controller in your game. Open it up and give it a shot!